Healthy communities create conditions that benefit everyone. Community water fluoridation helps all of us – the entire community – prevent unnecessary dental problems before they begin. Is adding fluoride to water a violation of individual rights? Does drinking fluoridated water prevent tooth decay? What is fluoride, and what are its uses? We brush our teeth with fluoride toothpaste every day. Do we still need fluoridated water? Should I be concerned about fluorosis from drinking fluoridated water? Who supports community water fluoridation? Are the types of fluoride used in drinking water safe? So, fluoridated drinking water is safe? 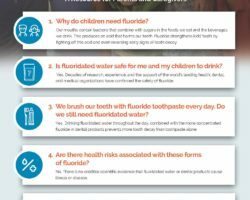 Why should I support community water fluoridation? Where can I find out if there is fluoride in my drinking water? Answers to all of your questions about fluoride, without the technical talk. Updated How CWF Works Poster Size Now Available! Join the network of more than 150 advocacy, health professional, child and family wellbeing, and scientific organizations working together to preserve our nation’s gains in oral health. Becoming an organizational partner is simple and free of charge. Click below and join us today. Why Campaign for Dental Health? The Campaign for Dental Health (CDH) was created to ensure that people of all ages have access to the most effective and affordable way to protect teeth from decay — community water fluoridation (CWF). Why? Not that long ago, run-away cavities and gap-toothed smiles were commonplace. Thankfully, the past half century has seen lots of progress. Better dental care and widespread fluoridation have vastly improved our oral health. But this progress has been uneven. Millions of people, especially poor and minority children, suffer needlessly from dental problems. Poor oral health leads to missed hours of school and work, more costly and involved treatment, and sometimes life-threatening infections. 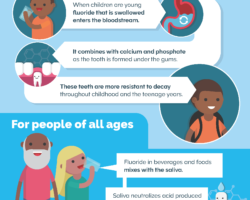 Community water fluoridation is the safest, most effective and equitable way to help reduce and prevent dental disease for people of all ages. The CDH is a broad network of oral health advocates, health professionals, child and family organizations, and scientists working together to preserve our nation’s gains in oral health. Our mission is to provide the public and policy makers with the evidence-based information and tools they need to promote and protect fluoridation. Read more about the CDH here. We encourage you to read more about how fluoride works, the debate over fluoridation, and common myths and facts. Find resources to help you act now to promote oral health. Learn and share accurate, science-based information about CWF. We have answers to common questions about fluoride and guidance on how to protect children’s teeth. Or type your questions directly into the search box.